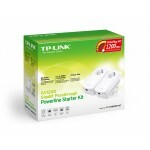 Using your home’s existing electrical circuit, TP-LINK’s TL-PA8010P KIT AV1200 Gigabit Passthrough Powerline Starter Kit turns any electrical socket into an Internet connection. Simply plug into your wall socket and you are ready to enjoy HD streaming and gaming, no configuration required. You also won't lose a socket with its integrated pass through socket included! With speeds of up to 1200Mbps for smooth Ultra HD streaming, online gaming or faster downloads, TL-PA8010P KIT is a perfect home entertainment companion. 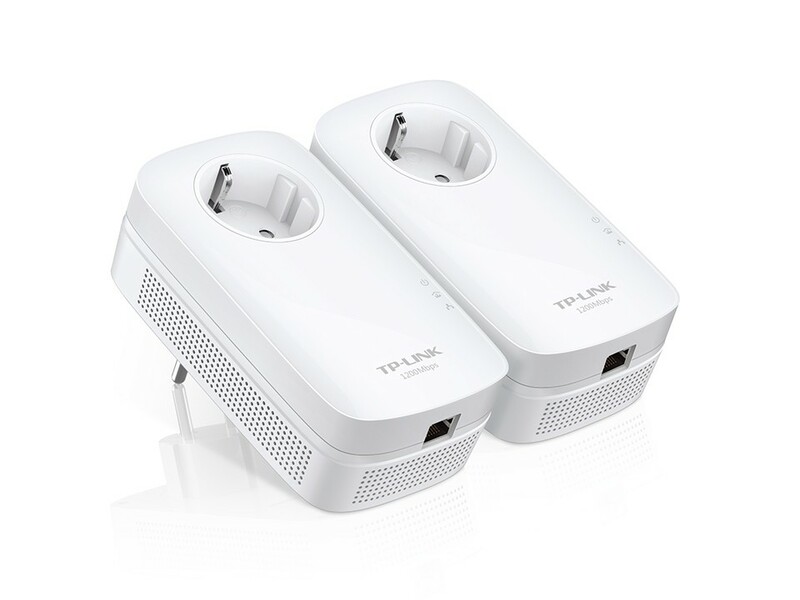 With its advanced HomePlug AV2 technology, TL-PA8010P KIT is introducing a powerline generation for even faster data transmission in the home network. TL-PA8010P KIT supports 2x2 MIMO* with beamforming, so users benefit from ultra-fast data transfer speeds of up to 1200Mbps. Perfect for bandwidth demanding activities like streaming Ultra HD video to multiple devices simultaneously, online gaming and large file transfers. The Multiple Input Multiple Output functionality within HomePlug AV2 significantly improves data transfer rates especially during peak periods. It uses any two electrical wire lines within a 3 wire network to boost performance. 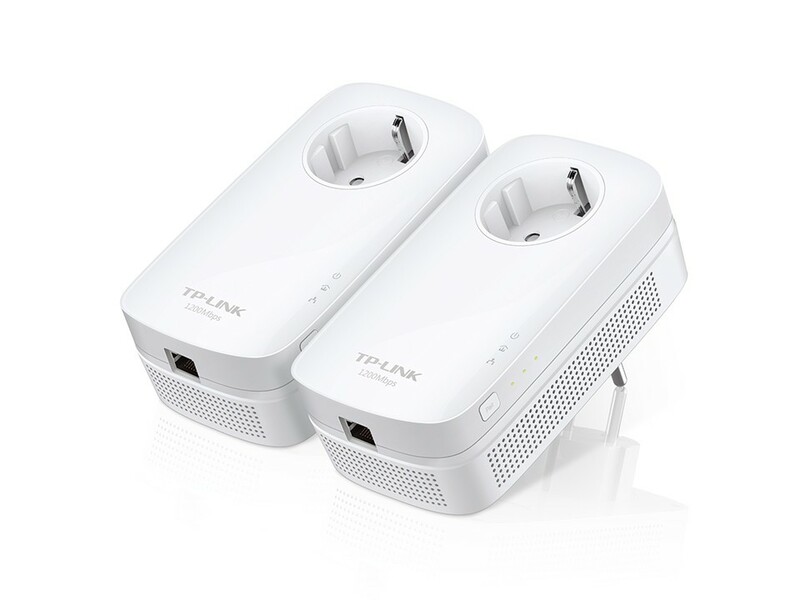 Equipped with one gigabit Ethernet port, TL-PA8010P KIT allows users to connect a bandwidth intensive device in a room and ensures the smooth transmission of multiple HD video streaming. 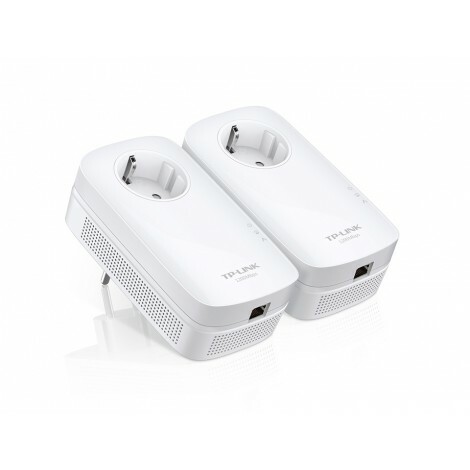 Where sockets are at a premium, the TL-PA8010P KIT with an integrated AC pass-through power socket, means the powerlines can be used like a traditional electrical socket. Plug your smart TV or games consoles into the powerlines, as if it were a normal plug socket. No socket needs to go to waste. 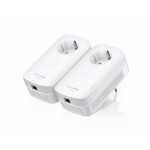 The built-in noise filter helps to prevent electrical signal noise from affecting powerline performance. 1. Plug a powerline adapter into a wall socket and connect it to the router, via an Ethernet cable. 2. Plug another powerline adapter into a wall socket in another room and connect it to your Internet enabled device via Ethernet - and you are done! The powerline adapters will automatically connect to extend your network. The “Pair” buttons on the powerline can also be utilized for securing or managing multiple powerline adapters in your home powerline network. 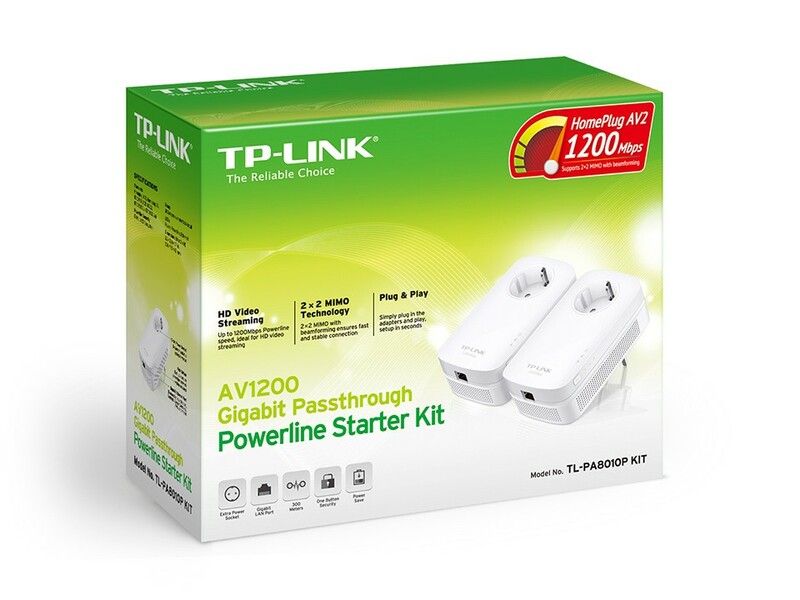 TL-PA8010P KIT, a new-generation of powerline adapter, with its practical design and sophisticated Power-Saving Mode, will automatically switch from its regular "Working" mode to "Power-Saving" mode reducing its energy consumption by up to 85%.